Just following Jesus in my real life...: I simply remember my favorite things…Friday’s favs…I’m lovin’ my new bench! I simply remember my favorite things…Friday’s favs…I’m lovin’ my new bench! I had to run an errand over to Camas this afternoon. which meant, I came home with this little bench! That bench is so cute! I would love it also! Great find!! Sweet little bench - love what you did with it! Oh, I wish I had to run an errand over Camas way! Maybe I can 'dream up' something that takes me there soon. So pretty. 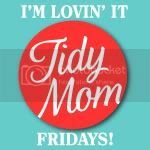 I'd love it if you'd link up to my Home and Family Friday linky party. Just went to Camas this past weekend. Wow what a wonderful shop. I could've spent all day there, but my husband made me leave after an hour. I bought some really cute stuff there.